A somewhat cloudy night but the Moon beckoned so I set up my ES102ED. Whoa, whats that? Its Elvis rocking out on the lunar terminator! What a fun surprise to find the dark outline of a figure standing wide appearing to play a guitar! A friend had told me about this phenomenon as well as some of the lunar alphabet visible at certain times on the terminator. I have tried to observe this before but was either too late or too cloudy. This time it was by complete surprise that I found it. I sketched at the eyepiece and cleaned up the sketch later in better light. I was also able to capture “The King” with my iPhone. The interesting thing is that Elvis (aka Lunar V) is only visible for a short 1-2 hour window of time every month. 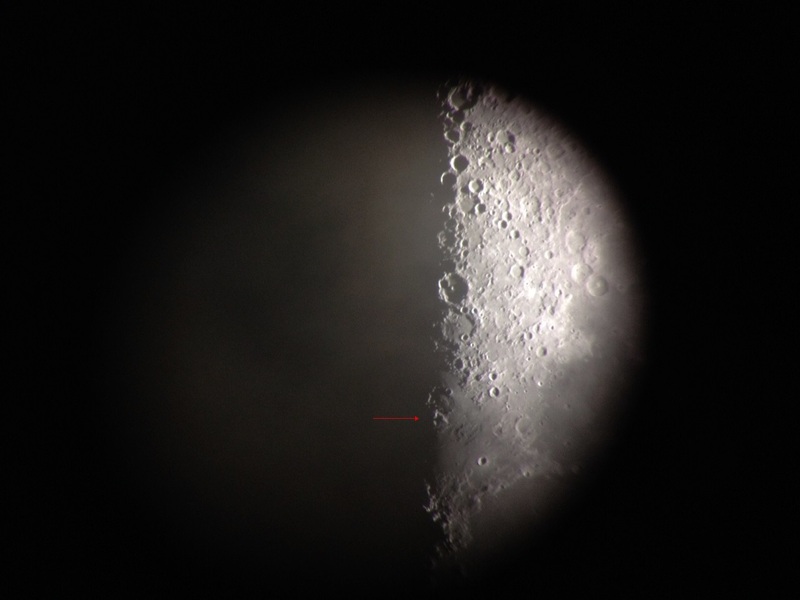 This perfect angle of light shows not only Lunar V but also Lunar X a few hours after the first quarter. 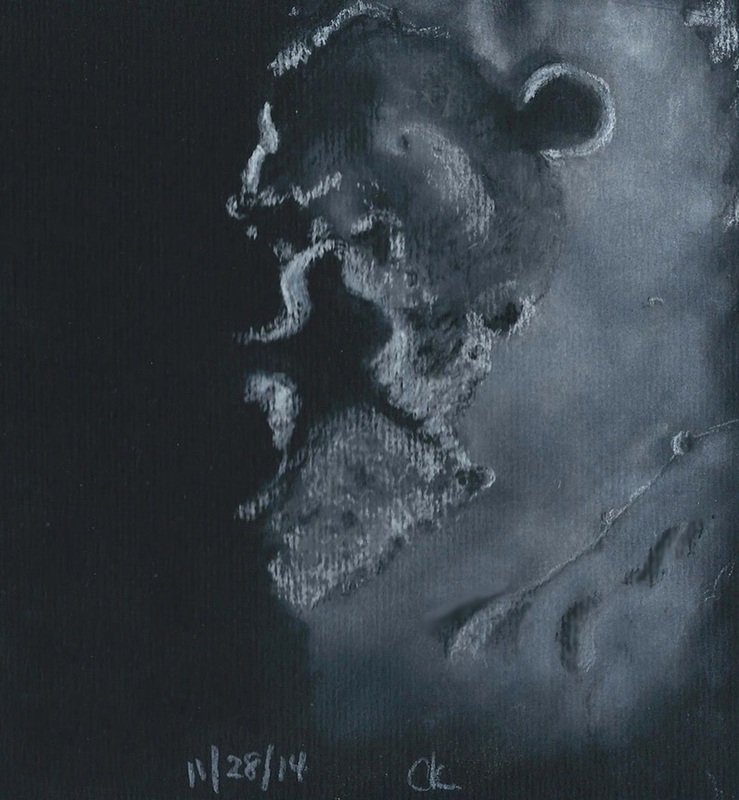 Lunar V is visible at the terminator between Mare Vaporum and Sinus Medii near Crater Ukert. 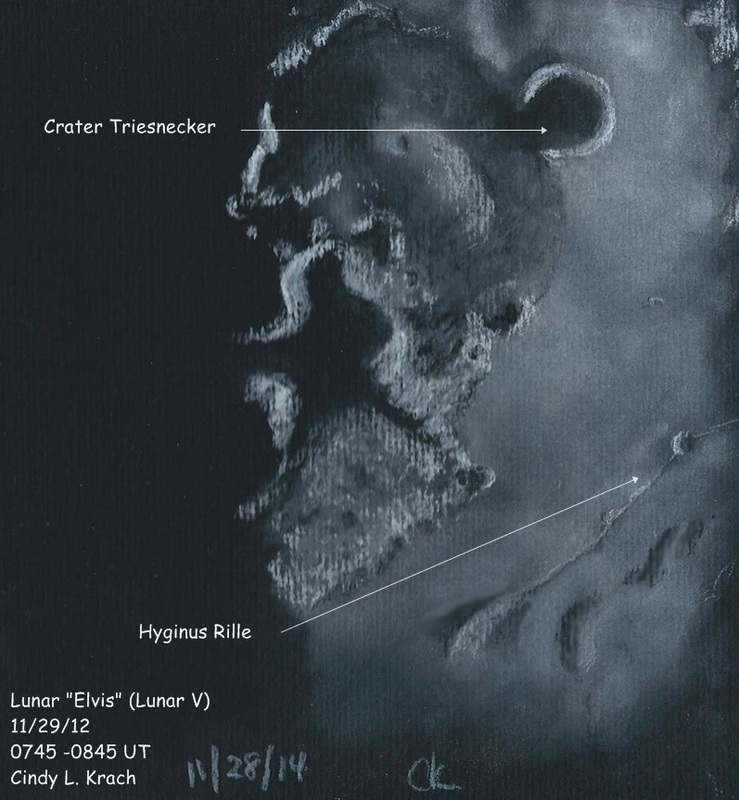 Other landmarks are Hyginus Rille and Crater Triesnecker. Glenn Chaple wrote about “Elvis and the Alphabet” in the August 2013 issue of Astronomy Magazine. Very interesting to find these “little jewels hiding in plain site” as one reader wrote. Very nice lunar sketching. I read the same article and forgot about it. One of these evenings near first quarter I’ll need to check this out. Thanks for your comment. It is a fun thing to see especially when it appears in this orientation. It jumps right out at you! I like best the Hyginus Rille!